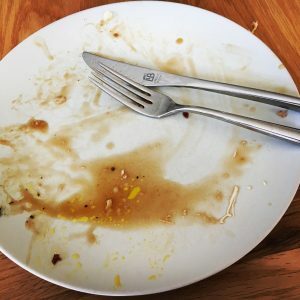 I promise this isn’t going to be one of those dull blogs where people show you their amazing food in their immaculate kitchen. Honestly, I promise. Firstly, my kitchen is far from immaculate. Most of our recipes inadvertently contain more than your daily recommended amount of cat hair, and if I wipe the kitchen sides down a couple of times a week, I feel I’m doing well. Usually I just use loads of chopping boards to make sure nothing touches our counter. That’s how aspirational my life is. When TheBloke (TM) and I moved in together, he was very much the cook of the household. In fact, he once went out for the evening, left a microwave ready meal on the counter for me, with instructions, “Pierce film 5 times, cook for 3 minutes. Any problems, call the Fire Brigade on 999.”. The git. On a Sunday he would do a standard chicken, and then frozen veg, frozen potatoes, frozen Yorkshires, Bob’s your uncle. Over the years, as I improved my basic cooking skills, I have taken over the roast, starting with the chicken, then the roast potatoes and veg… but Yorkshires have always been something of an enigma to me. Once, once I got them perfect, but every other time they’ve looked an awful lot like 1990s Pogs, and tasted fairly similar. I was actually born in Yorkshire, so it’s a double blow really. The biggest problem I always had is needing a really hot oven. We have a double oven – so far so good – but our smaller oven is usually on the hot temperature (with the roast potatoes in) because we need two shelves for the chicken and roast veg, which are usually in at the lower temperature. Our smaller oven only has room for one shelf. So where do the Yorkshires go? 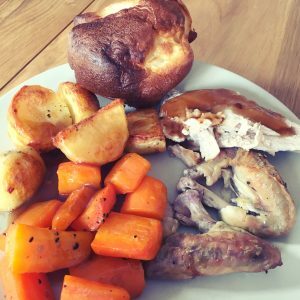 A lot of recipes say you should put the Yorkshires in when you take the chicken out to rest, but then you either cremate your roasted veg, or else have flat, crap Yorkshires. 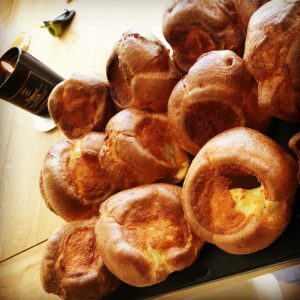 It is a conundrum wrapped in an enigma, so Aunt Bessie has always bestowed her Yorkshires upon us. Today I had a revelation. If Aunt Bessie can reheat her Yorkshires, why can’t I? Hold your shock here – I made the Yorkshires first in the hot oven, before putting the potatoes in. Then I took them out, left them to go cold, and then put them in the top oven with the potatoes just to reheat about five minutes before serving. I say it myself, but they were amazing. Look. They were crispy. They were fluffy. They were amazing. I suspect I will be winning some sort of prize for them shortly. Oh, and they reheated beautifully, and I’ve put the spares in the freezer, to basically be my own version of Aunt Bessie from now on. I think you’re supposed to mix them all separately, but I bunged them all in a jug, and whisked them together using an electric whisk. I’m sure a manual whisk would be fine too. 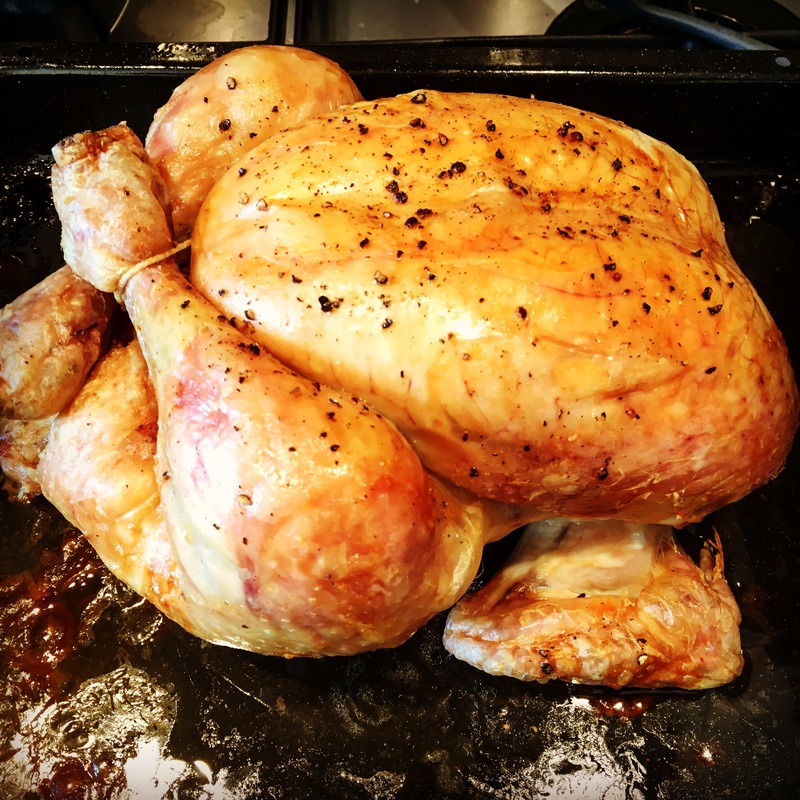 Then I heated the oven to 220°C. We have a particularly fierce fan oven, so I would recommend 230 maybe if your oven is less ferocious. I used a muffin tin. I did wonder if a bun tin might be better, but decided to go with the deeper holes – which worked out well, God knows what would have happened if I’d used shallow holes. We have a silicon muffin tin, so I didn’t need to grease, just poured a bit of sunflower oil in each hole. I hate recipes that say “a bit”, so I would estimate slightly less than one teaspoon in each muffin hole. They were in there for 20 minutes, but your oven might take 25 minutes. I would probably take these ones out a couple of minutes sooner next time, as they crisp up again when you put them back in the oven to reheat. EldestGirl complained, “I don’t like the brown bits. I like Aunt Bessie’s ones best.” YoungestGirl was asleep but will get EldestGirl’s leftovers when she wakes up. She’ll never know. Anyway, it’s nice to have a success, and as always, the secret ingredient is cat fur. You’re welcome. Here are some boring pictures of my food.